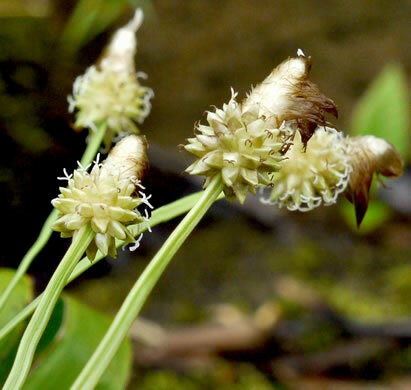 Female flowers below the male, with a sac (perigynium) around the pistil, per Wildflowers of the Eastern United States. 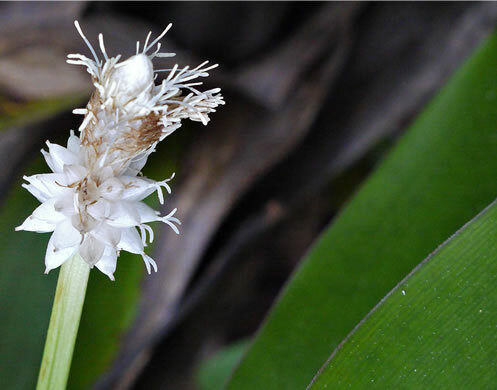 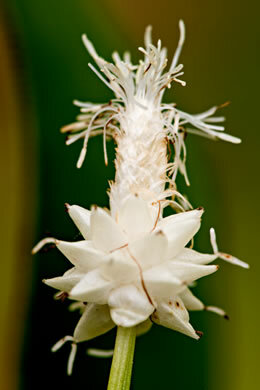 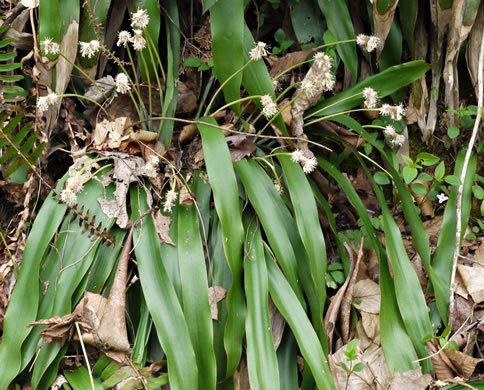 Cottony white flowers above a clump of strap-shaped leaves up to 2" wide, per Wildflowers of the Southern Mountains. 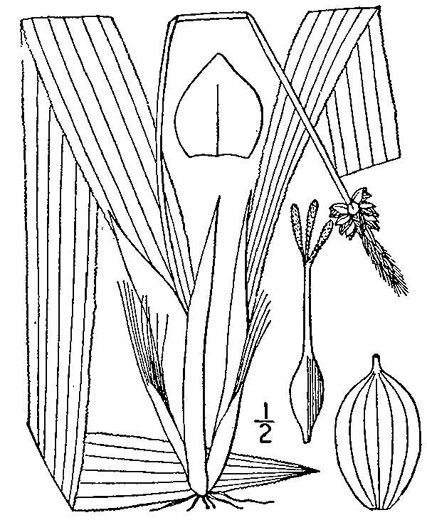 Culms compressed or terete, per Flora of North America. 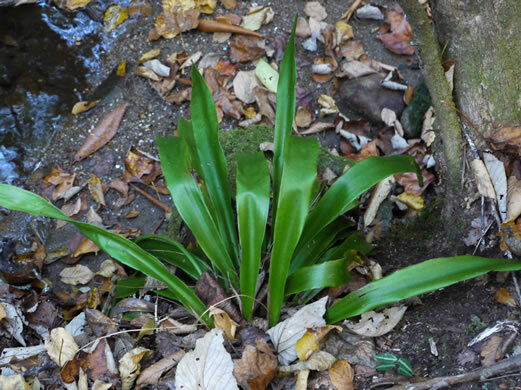 The broad, straplike leaf... is unique in Cyperaceae, per Flora of North America. 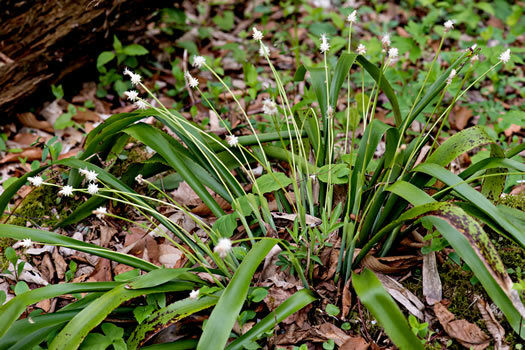 No midvein on the leaves, per Wildflowers of the Eastern United States.